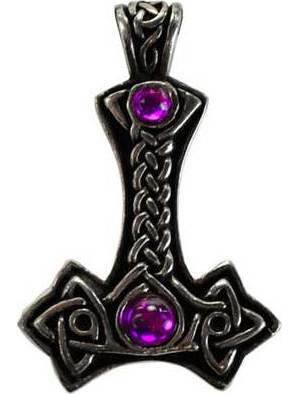 Thor's hammer Mjollnir, the famed weapon and symbol of the Norse God of Thunder with knot work and stone embellishments. Stone color randomly chosen. Has cord. Pewter. 2" x 1 1/4"